Yokohama Tire Corporation has created an interactive, online tool to help fleet managers calculate their fuel savings. The Yokohama Fuel Savings Calculator can be found by visiting www.yokohamatire.com and entering the commercial tire section of the Web site. The calculator offers direct comparisons to competitive tires, the company says. It also displays how much emissions can be saved by switching to environmentally-friendly tires. 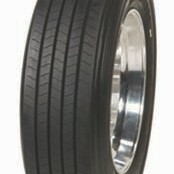 Bridgestone Bandag Tire Solutions has introduced a new Bandag-brand B197 trailer tread, patterned after the Bridgestone R197 trailer radial. It marks the first time the company has launched a new Bridgestone tire along with a Bandag companion retread, offering fleets a seamless transition from new tire to retread. The B197 is built for long life and low cost-per-mile, the company says. 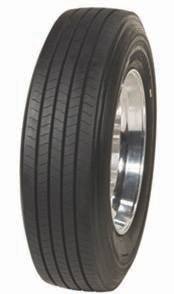 It’s available now from Bandag dealers in sizes that fit most trailer tire casings. For more info, speak with a Bandag dealer or visit www.bandag.com. J.W. 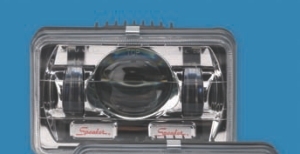 Speaker Corporation has introduced a new line of LED head-lamps. The lamps, ideal for retrofit applications, offer improved visibility and better nighttime safety and have passed all photometric testing required for use on-road in North America, the company says. They are available in round and rectangular designs. For more information, visit www.jwspeaker.com. Haldex has introduced a new family of pressure protection valves, standardizing three of its most popular pressure settings for both a base pressure protection valve and a pressure protection valve with one-way check. 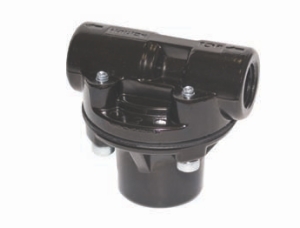 The new valves feature: an e-coated zinc diecast body for corrosion resistance; a premium nitrile diaphragm for long life and reliability; a durable design for increased product life and lower replacement costs; and compatibility with air suspensions, air seats and cab isolation systems. 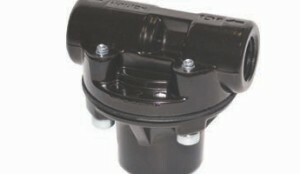 For more information, call 800-643-2374 or visit www.haldex.com. 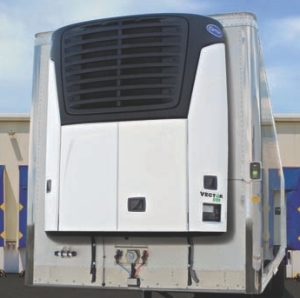 Carrier Transicold has a new Vector 5100 all-electric refrigeration unit that’s ideal for stationary applications. The reefer is well suited for grocery, supermarket and other operations that use refrigerated trailers for on-site cold storage, around holidays for instance, when retailers are moving a substantial amount of seasonal items. The all-electric reefer eliminates the noise and emissions as well as the fuel consumption required by diesel-powered trailer refrigeration units. Carrier Transicold also says operators can reduce their costs by up to 70% by using electricity rather than fuel. 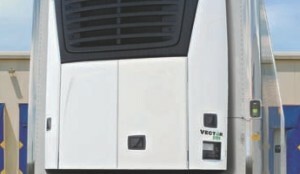 The stationary unit is based on the company’s Vector 6500 singe-temperature TRU. It requires a 460-volt power supply and operates nearly soundlessly, Carrier Transicold says. For more info, visit www.trucktrailer.carrier.com. Silver Eagle has introduced a new lightweight Hawk converter dolly for fleets pulling double and triple trailer combinations. The Hawk dolly weighs just 2,680 lbs and has a gross vehicle weight rating of 20,000 lbs. For more info, visit www.silvereaglemfg.com. Judy Malpass and Linda Varey were at the Fergus Truck Show to promote a new healthy energy drink they say is ideal for truck drivers because it doesn’t cause an energy crash and doesn’t contain harmful ingredients like excessive refined sugars or caffeine. Xe Healthy Energy is an energy drink centered around Xocai’s cacao, a blend of “antioxidant super-fruits and all-natural energy mobi lizers.” The duo also sells and promotes ‘healthy’ chocolate snacks, which don’t contain the preservatives found in most commercial chocolate sold in stores. For more, visit www.myxocai.com/judyandlinda. Boot maker Rocky has introduced a TrailBlade work shoe designed specifically for truck drivers. The shoe features modern styling and long-wear comfort, according to the company, and combines the traditional features of a work boot with the comfort of a shoe. It also comes with optional toe protection making it a lightweight alternative to a steel toe boot. The shoe ranges in price from US$100 to $105. For info and dealer locations, visit www.rockyboots.com. CB manufacturer Cobra Electronics is releasing a 50th anniversary CB Radio, which will make its debut at the Great American Trucking Show in Dallas Aug. 26-28. The new 29 LX LE CB radio features a new design with a selectable fourcolour LCD display and ergonomic microphone, the company says. It will be showcased at the Cobra booth (#16074) at GATS. The radio will come with what Cobra dubs the industry’s first and only Radio Check Diagnostic system which allows drivers to continuously monitor their radio’s RF output, SWR setting and battery voltage. The radio will also be available through dealers for US$149.95 beginning in September. 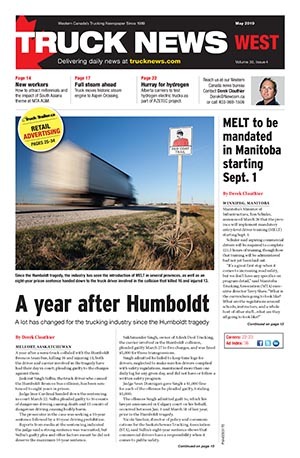 The Ontario Trucking Association is now offering toolkits designed to help fleets deal with workplace violence and harassment issues as well as the abuse of drugs and alcohol in the workplace. The toolkit was designed in partnership with Corridor Interactive and is user-friendly while meeting all government requirements, the OTA announced. Ontario employers are require to have a comprehensive violence prevention program in place that includes a corporate policy on violence/ harassment prevention, an organizational risk assessment, reporting and investigation protocols, etc. For information on the toolkit, contact Joanne Benac at 416-249-7401, ext. 230. 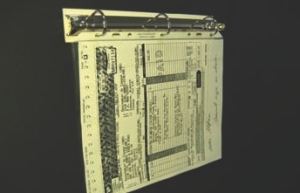 Visual Planning is now offering one-inch and 1.5-inch D-ring magnetic binder rings that can hold four pounds (or 100+ pages) of three-hole punch documents. The documents can then be attached to steel walls or machinery. They’re ideal for work orders or instructions, according to the company. 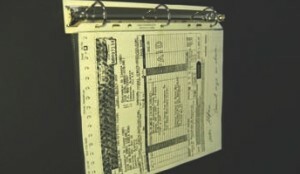 For more information on the magnetic document holders, visit www.visualplanning.com or call 514-739-3116. The American Transportation Research Institute has updated its listing of state and local idling restrictions in the US. 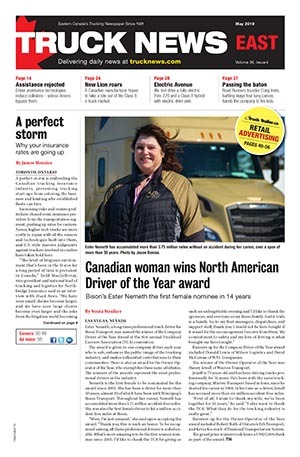 The guide can be found at www.atri-online.org and is available in a cab card format or an online compendium with links to individual regulations. Updates include a new five-minute idling limit in North Carolina, a 15-minute limit in West Virginia and a new five-minute limit in Detroit. Carrying the cab card can save drivers money by avoiding fines. Fleet Engineers has announced it has become the exclusive distributor of the V-Flap mud flap that’s designed to deliver fuel savings by allowing air to pass through vertical perforations while stopping water and spray. Allowing the wind to pass through the flap can improve fuel economy by as much as 1%, the company claims. For more information, call 800-333-7890. Gilbarco Veeder-Root has added a new Atlas DEF dispenser to its Gasboy dispenser product line. The unit is aimed at commercial and fleet operators with vehicles requiring DEF. Fleet operators are able to integrate control and management of DEF into their existing reporting and management infrastructure, the company says. For more info, visit www.gasboy.com. s to identify high-risk driving behaviour. It uses GPS data to identify risky driving behaviour and informs fleet managers which drivers are habitually speeding on different types of roads. For more information, visit www.shawtracking.ca.